These are some of the things that parents can do to help manage the aggressiveness and heightened emotions which kids can experience in sports. 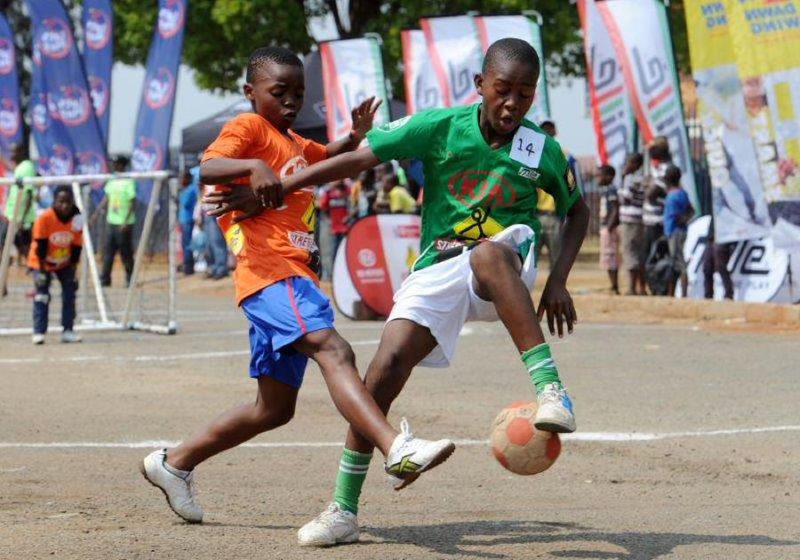 Sports arm children with useful tools that can prepare them for the future challenges of life. Camaraderie and teamwork teach kids about the value of cooperation, while physical exercise develop their motor skills and fitness levels. Sports can also motivate kids toward self-improvement with healthy competition as a facilitative factor, further impart lessons of good sportsmanship, and help youngsters build more confidence. Still, there are psychological factors to consider when raising a young athlete. Sports aggression can rise from the atmosphere of competition, and budding athletes need to strike a balance. Too much aggression can be dangerous, but too little aggression can be worrisome. A child that isn’t aggressive enough may be full of self-doubt, fearful, overly hesitant or cautious, and unwilling to take risks or assert themselves. Meanwhile, a child that is too aggressive may have difficulty with self-control, dealing with negative emotions, accepting undesirable outcomes, and treating others with respect and compassion. The ideal kind of healthy aggression challenges athletes to perform at their best and actively gain the upper hand or take possession of a basketball or football. The bad kind of aggression manifests itself in rule-breaking, lashing out, and deliberately attempting to inflict harm. Kids that focus on competition with a high level of intensity can also feel excessively self-critical or pressured. A 2011 study in Tel Aviv found that a healthy sports environment under the right guidance can actually help reduce aggression in youngsters, especially boys. There are things that parents can do to help passionate young athletes manage their own expectations and emotions. Before a game, parents should help children feel confident and positive. Do not focus on past losses or blunders. Instead, remind children of their success and progress with words of encouragement. Lead by example as an adult role model. Be calm and do not transfer any negative energy or thoughts onto your child. Always remind kids to put priority on player safety, good sportsmanship, fairness, and having fun. At the game, let coaches and referees do their jobs. Accept and support their decisions to avoid undermining your child’s trust in them. Always stay cheerful and supportive from the sidelines. If you notice that your kids aren’t remembering techniques or aren’t performing well, do not show disappointment, rage, or frustration. 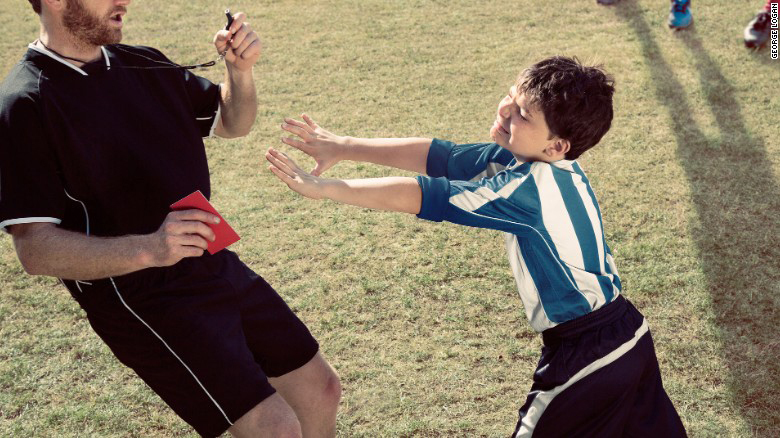 If your child displays hostility towards a competitor, referee, or coach, the first thing you should do is listen. Find out the reasons behind your child’s unwanted behavior and explain that, while it’s normal to feel negative emotions, everyone needs to know how to properly cope and communicate in a constructive way. Early prevention and intervention against externalized hostility through anger management are critical to child development. You can take measures to show that hurting others is unacceptable, but avoid extremely harsh and humiliating punishments which can cause a child to further share and inflict pain. After the match is over, always meet kids with positivity and reassurance. Compliment children on their performance and cite some specifics to show that you were really enjoying and paying attention to the game. Ask children about what they feel they did particularly well. If the results were unfavorable and your child is feeling down, make sure not to appear withdrawn and do not express any disdain or disappointment. They can perceive negative responses as subtle forms of punishment. Remember that children should be able to live balanced lives between sports, family, school, friends, and fun. Acknowledge their feelings, but don’t obsess over their athletic performance and don’t reinforce their overly self-critical thoughts. Remind them that being an athlete never has to define who they are, and that athletic success should not be the only source of their happiness and enjoyment of life. Visit the E-Sports International newsroom for more articles about international trends in athletic wellness. Images are from The Hong Kong Jockey Club, CNN, Sporting Chance, and ABS-CBN.